With this post I would like to pay homage to one of the most significant designers of the century in my opinion. In design and particularly in brand building, details are extremely important. From the choice of fonts, to the signature of your email; from the colours and their combination, to the texture and weight of the paper you use for your stationary. These details are what will define the tone of your voice and character. These same details, in an appropriate combination, will make you distinctive and unique. In this era of visual and physical clutter, what we feel is much more relevant than what we see. The apparently insignificant details that can’t be seen, but can definitely be perceived, are the most significant ones. So now more than ever, brands need to be sustained holistically because without a care for details there is no excellence, regardless of style or form. In the field of creativity and innovation PLAYING is a very serious matter. In the past years my mission is to help companies, organisation and entrepreneurs transform ideas into realities. Unfortunately, most of the times this process is made so OPERATIONAL and stiff that we loose all the poetry and beauty of creation of a new product/service or venture. We tend to forget that at the end of the day, what really matters is creating value to a customer segment/s. This could actually be a very enjoyable process. Yes! Creating a new product/service or venture. Can be a wonderful game. Here are some question we should ask as we begin to PLAY. Which game are we playing? How the game is organise/rules? What does it take to win/participate? Who is winning/playing the game? Can we change the game? PLAYING doesn't mean not taking something seriously. Pretty much the opposite, actually. When kids are playing, lets say building a construction they are very serious. They are very serious because they want to succeed, they want to achieve their game. The huge difference between an OPERATIONAL mindset and a PLAYFUL mindset is the approach to failure. Playing allows us to FAIL and retry. It gives us permission to start over and seek different results. 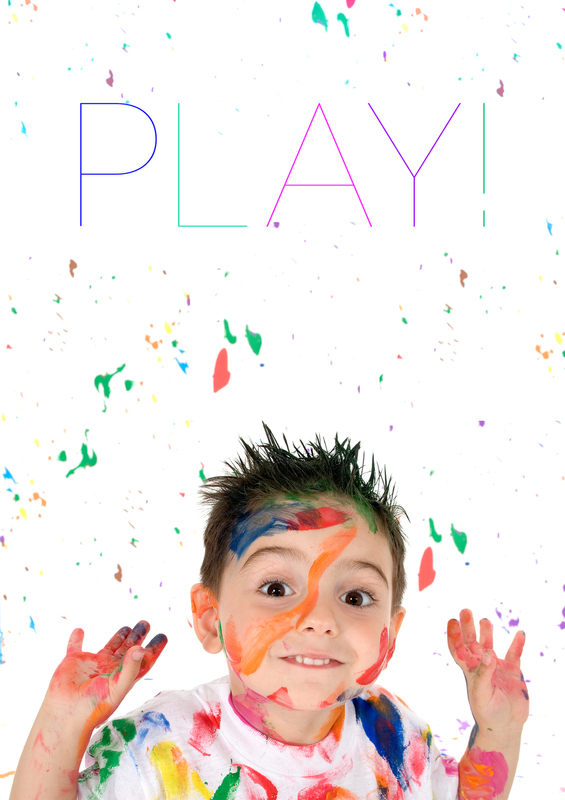 Every time we PLAY and we are in the playful mindsets we are able to improve our skills and performances. Continuous learning is the secret to always excel and reduce the probability of error. When we embrace a PLAYFUL mindset we consider the error as an essential part of learning. Not a demonstration of incompetence. Thank to SCAD I had the opportunity to watch an inspiring keynote from Kevin Carroll which inspired this post. Imagine we are at a party, the host looks at his 20 guests and asks PIZZA anyone? Big smiles start popping on faces. Everybody loves pizza; and the most beautiful thing about pizza is that is heavily customizable. Just like design. 1. Our HOST, decides to collect all the topping requests from each and every single guest. The next thing you know is that the mega-pizza that it has been delivered is a messy collection of toppings. Will it be tasty? This approach is what we would define arbitrary. The impression might be that our host pleased everyone; the reality is actually pretty much the opposite. While the process of asking each guest to choose its topping is a very pleasant and polite gesture, the end result is probably not the one expected. 2. Our HOST has a clear vision of what experience he wants to provide to his guest. He gathers all guests desires and ideas, then he defines a cluster. Based on this reasoning he orders the 3 most popular choices of pizza, which in general are simpler and more straightforward ones. While this process requires a little more effort, the overall end result will be much more efficient and publicly appreciated. As we started working with some mid to large size companies in Asia we noticed that many of them tend to favor the first approach rather than the second one. Probably this attitude is a result of a very rooted tradition of democratization of the decision making process. To us, design is never cynical nor arbitrary. It’s our way to tackle change and possessively impact people’s lives. We suggest to try to apply the second approach as we face a complex decision making process. We will find out a new way of pleasing our “guests” or public. When we are approaching a new design project in the studio, we always focus on one single factor: Changing the behaviour of those who interact with our designs. I strongly believe that good design changes behaviour and that as creatives, we should focus on how the user is acting now and what behaviour we want to change, enhance or discourage. I was at client lobby waiting for a meeting. On the coffee table in front of me were some nicely laid out brochures and magazines to entreating the visitors. One of them was a new company profile that we had just delivered to the client. Another guests was there and I carefully watch him as he flicked briefly through several brochures with one hand, he was not really paying attention, it looked like his flicking the pages was almost an automatism. Finally he picked up our profile. I was eager to see his reaction. The rigidity of the cover and our choice of a thicker paper forced him to use two hands, slowing down his flicking speed which then allowed him to take in more information, and really pay attention to the content of the publication.. It was in that single moment I realised that our design had changed his behaviour; and I knew that we had done a good job with that product. Why Defining "THE BRAND" ? There has been plenty of speculation trying to define WHAT a brand is. Rather than the what, the HOW is much more fascinating to me. This is branding. Branding is the systematic approach to find the perfect balance Rational and Emotional values. Values that a company or organisation shares with its public; Sustainably Growing: Culturally, Socially, and Financially. Building a brand requires the ability to transfer a specific set of values into a product or service while maintaining and renewing those values over time. Historically, brands distinguished similar products by defining their ORIGIN or OWNERSHIP. Mistakenly nowadays, we tend to forget this. looking at the silhouettes of three different super cars we already have a feeling of what they stand for. Rolls Royce with its walnut dashboard, classic luxury, and presence make it the "royal ride." products, but for their mastery of infusing much more meaning into their designs. Is there a common denominator that defines each brand's success or failure? What are the key elements that define and distinguish a world class brand from a mundane one? Why do some products or services seem to outperform their competition better, faster and longer than others? After what felt like an endless series of sleepless nights, I eventually uncover the five (5) key characteristics that defined and are shared by meaningful & successful brands. The fundamentals of this pattern came from my observations on how our economy had changed in the past several decades, from an economy focused on industrial production, to an economy centered around people. Such an economy is not based on rationality, but on desire, and desire means brands. There are infinite ways to represent a new model; but I thought why not using a model that roots deep in tradition, making it even more comprehensive and memorable. To better represent this branding framework I took the liberty to borrow the ancient Chinese concept of the Wŭ Xíng. The five elements (or virtues) are; wood (木 mù), fire (火 huŏ), earth (土tŭ), metal (金 jīn), water (水 shuĬ), the Wŭ Xíng had been used for thousands of years as the defining framework for many Chinese fields; from traditional Chinese medicine to Feng Shui. I though why not branding as well then? The Chinese Wŭ Xíng are primarily concerned with explaining the process and change. Which, to my surprise, perfectly fit the branding philosophy I was building. I associated distinctiveness with wood, desirability with fire, sense of belonging with earth, trust with metal, and consistency with water. Referring back to the original Wŭ Xíng, each of the elements can be used to explain parts of an idea life cycle by employing their inherent characteristics, i.e. In nature, wood fuel fire, and so, in brands distinctiveness fosters desire. The Wŭ Xíng Branding Model begins with identifying what the distinctive values and characteristic of the brand are. Determining and leveraging what fires up the desire of the target market. Making them belong to the brand. Developing a relationship based on trust. With consistency reinforcing its values and narrative. We will discuss each and every element deeply in future posts so stay tuned. To learn more about the Wŭ Xíng Branding Model don't hesitate to contact me at info@1618group.hk or apply to our next speaking engagement here.